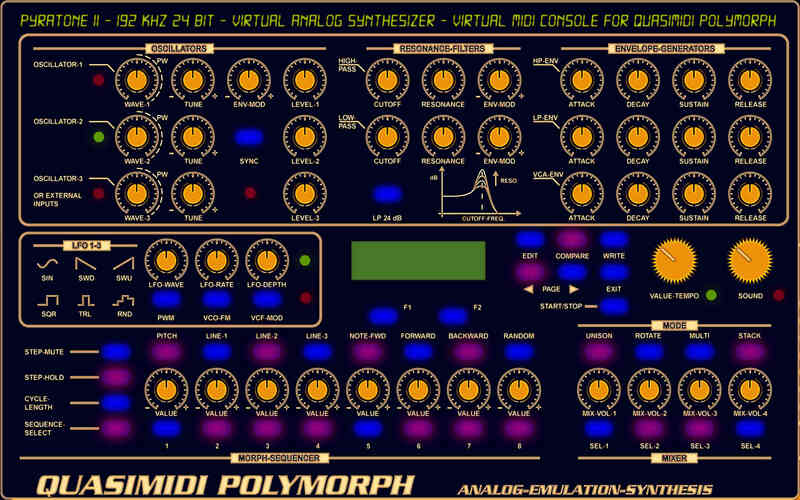 A setup of my VHDL Synthesizer together with a virtual MIDI controller is used to emulate a Polymorph of the former Company Quasismidi. My new LAPTOP Siemens Amilo XI 2550 is used to control a virtual console and driving the VA-Synthesizer via RS232. Common 8 Bit MIDI is used in this case - internally smoothed to 10 bits. Cinema 4D Software is used to reproduce the Polymorph Surface with some slight changes. Knobs are dynamic during rendering phase and thus can be recorded at various angles to show 3D-behaviour in the future. In the current version a static view is used. 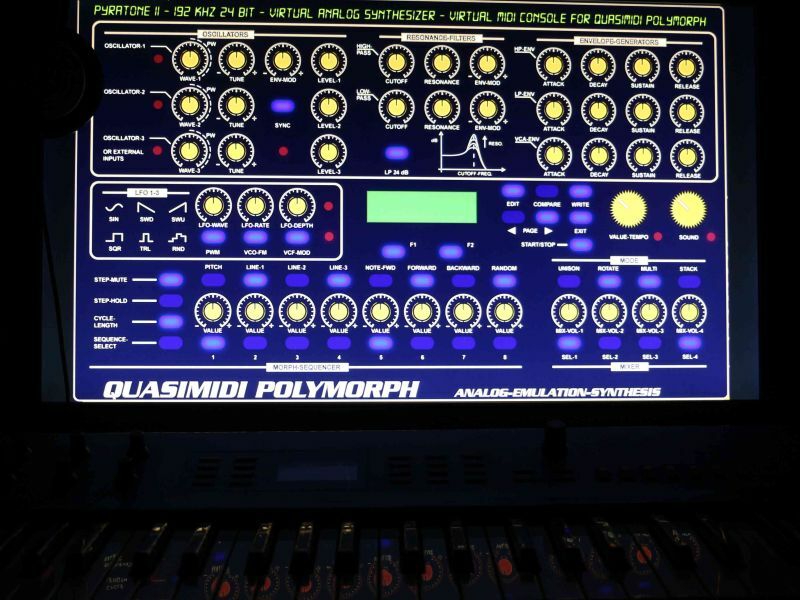 Physical FPGA Design of the VA-Synth (wrapper).